Whilst at Red Deer Village Holiday Park, we want you to get the most out of your stay. There are many beautiful and interesting places to visit in West Central Scotland, as well as plenty of local amenities and services that you may wish to take advantage of. 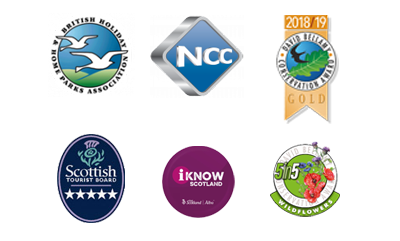 City of Culture, City of Architecture, Garden Festival City are just a few of the accolades recently awarded to Glasgow. Whether your preference be sightseeing, shopping or simply sampling the Glaswegian’s famed hospitality in one of the city’s many restaurants, clubs or bars, there is something to offer everyone. For those who prefer a show or a concert, Glasgow has many theatres whilst the new Royal Concert Hall, offers a wide choice of music from classical through country to rock. North Lanarkshire stretches from Stepps to Harthill, from the Kilsyth Hills to the Clyde and includes Airdrie, Bellshill, Coatbridge, Cumbernauld, Kilsyth, Motherwell, Shotts and Wishaw. With a population of over 339,000 it is one of the largest new unitary authorities in Scotland. The area boasts a wide range of cultural, sporting and visitor attractions. Stirling is one of Scotland’s oldest towns. Its original inhabitants, in pre-historic times, lived at the foot of what is now the castle rock, living off oysters and sea food. Later, the Romans occupied the strategic castle hill. Today, Stirling is a small town of 35,000 people; a tourist town, certainly, but a working town too as it is a major administrative centre, retail site and home to one of Scotland’s universities. Edinburgh, the inspiring capital of Scotland, where centuries of history meet a vibrant, cosmopolitan city in an unforgettable setting. Discover stunning scenery, striking architecture and fine food, and beautiful coast and countryside in the nearby Lothians. From the world’s festival capital and a UNESCO World Heritage Site to world-class visitor attractions and exhilarating outdoor pursuits, Edinburgh & The Lothians is a must-visit on anyone’s list. “Where the City meets the country” almost perfectly describes the attributes of Red Deer Village Holiday Park. It is the ideal base for those who wish to experience some of Scotland’s finest cultural centres and beauty spots. Below are a few local amenities and services which we, at Red Deer Village Holiday Park, can recommend. This 45 hectare site consists of a remnant raised bog bordered by wetland habitats, grassland, with establishing plantation woodland and areas of existing woodland/scrub. The nationally declining Water Vole, Skylarks, Badgers, Red Deer, Wheatears and Meadow Pipits are among the many animals found on the raised bog. This diversity of wildlife and habitats present has led to this site becoming a Local Nature Reserve. There is plenty of scope to explore this site, as there is an extensive network of paths. The local Frankfield loch is only minutes away by foot and offers a sanctuary for wildlife. Wild deer are regular visitors to this area. The local Cardowan Moss Woodland is situated to the east of Hogganfield Park Local Nature Reserve, between Garthamlock and Stepps. This diversity of wildlife and habitats present has led to this site becoming a proposed Local Nature Reserve. There is plenty of scope to explore this site, as there is an extensive network of paths perfect for walkers and cyclists alike. There are four golf courses within a 10 minute drive from Red Deer Village Holiday Park and several others in the surrounding area. Luxury fishing trips in Scotland and bespoke fly-fishing experiences and holidays for salmon,trout and saltwater species. Guest discounts available from Rhinocarhire.com, please enquire for details. For the more energetic we can also arrange for the hire of cycles. This is a great way to see the city and surrounding areas and keep fit at the same time! Fancy an evening out locally or take a break from your busy schedule of sightseeing to enjoy a refreshment snack or meal. There is a wide selection of restaurants to suit all palates nearby including Italian, Chinese and Indian as well as the friendly atmosphere of the local Garfield Hotel which is only a 10 minute walk from the Park. Glasgow city centre is a great place for shopping, only 15 minutes drive from the park. There is Buchanan Galleries (indoor shopping) and Buchanan Street famous for shopping in Glasgow’s city centre not to mention Braehead and Silverburn (indoor shopping) both just on the other side of Glasgow but with a great variety of shopping no matter what you are looking for. The Fort Shopping Centre is a great place for late night shopping (open till 10pm every night) and is only 10 minutes by car from the Park. The Fort has an excellent variety of shops, market stalls and places to eat. Florist, for that special occasion whilst visiting Stepps 0141 779 2836. 3rd Wednesday of every month 10am-2pm. 2nd and 4th Saturday of every month 10am-2pm. 1st and 3rd Saturday of every month 10am-2pm. 1st Wednesday of every month 10am-2pm. 4th Saturday of every month 9am-1pm. 3rd Saturday of every month 9am-1pm. M&D’s Theme Park — Theme Park with over 40 major rides and attractions. Coatbridge Time Capsule — Ice Rink, soft play, swimming pool, gym and water park. Scotkart — Two largest indoor karting circuits in Glasgow, plus Paintball and Laser Tag. Climbzone — One of the largest freestanding climbing walls in the UK and over sixty roped 10 metre high climbs of varying difficulty. Soar at Intu Braehead – Bowling, ski-ing, sledging, cinema, mini golf, laser tag, dining, trampolining and more! Cloudbusters Paragliding – paragliding and paramotorists. Escape Rooms Scotland – Test your teamwork, logic and problem solving skills to get out in time. Please check with each centre as age restrictions may apply.